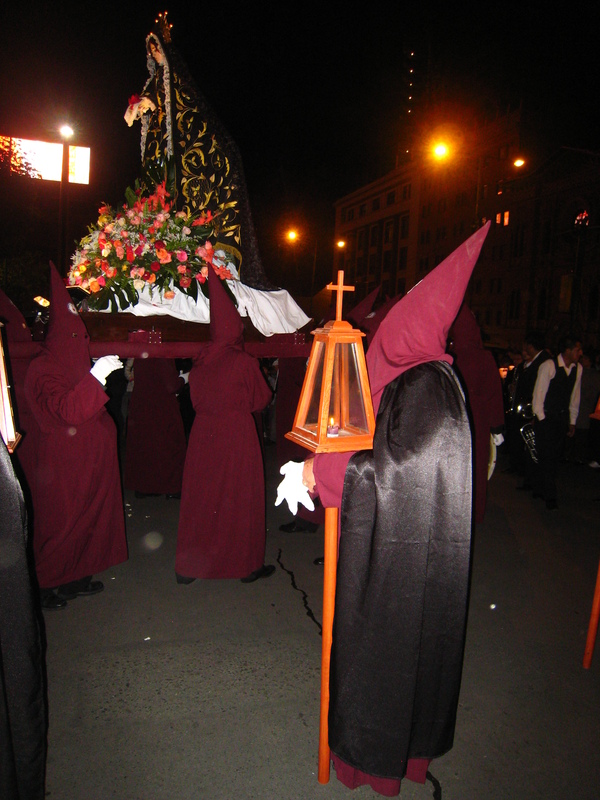 During Bolivia’s Holy Week celebrations, I witnessed the largest of many Good Friday processions taking place in La Paz. 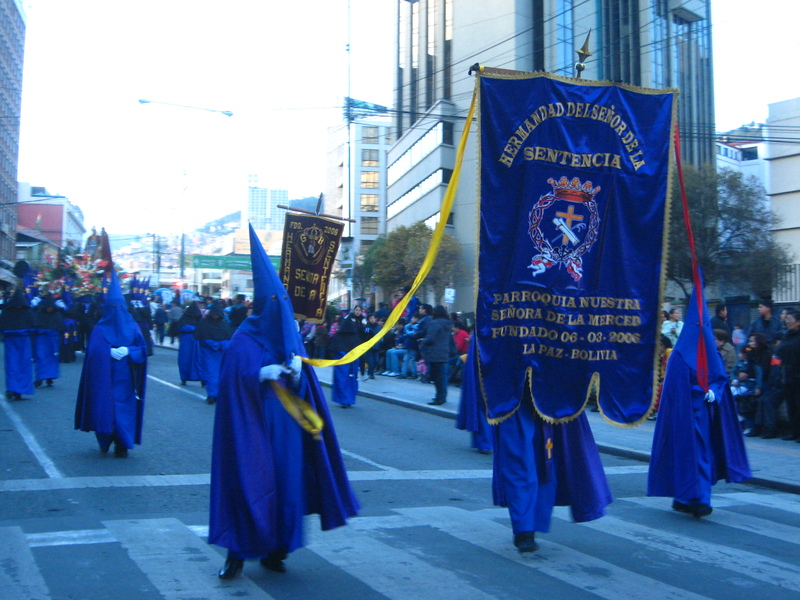 La Procesión del Santo Sepulcro spent three hours gradually winding its way through the city streets, eventually circling back to a downtown church. 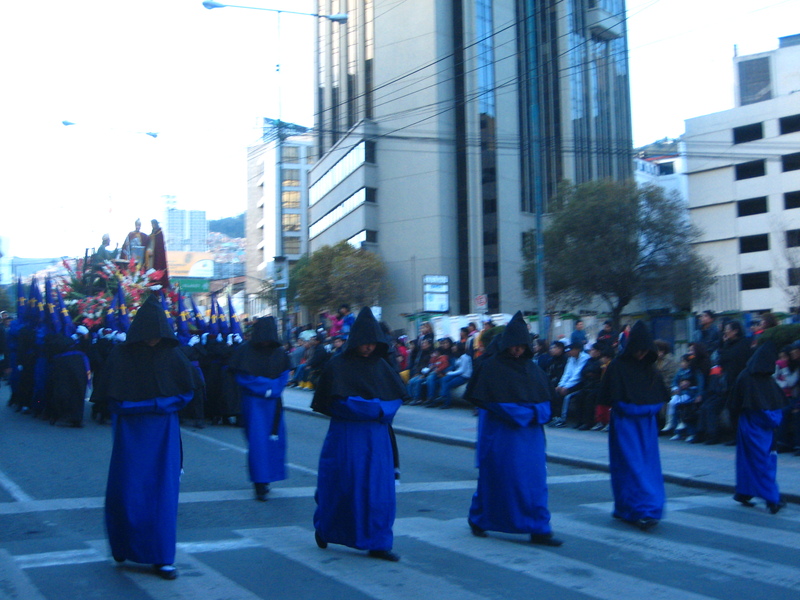 Approximately 95% of Bolivians are Roman Catholic, thus it was no surprise to see the streets filled with onlookers. 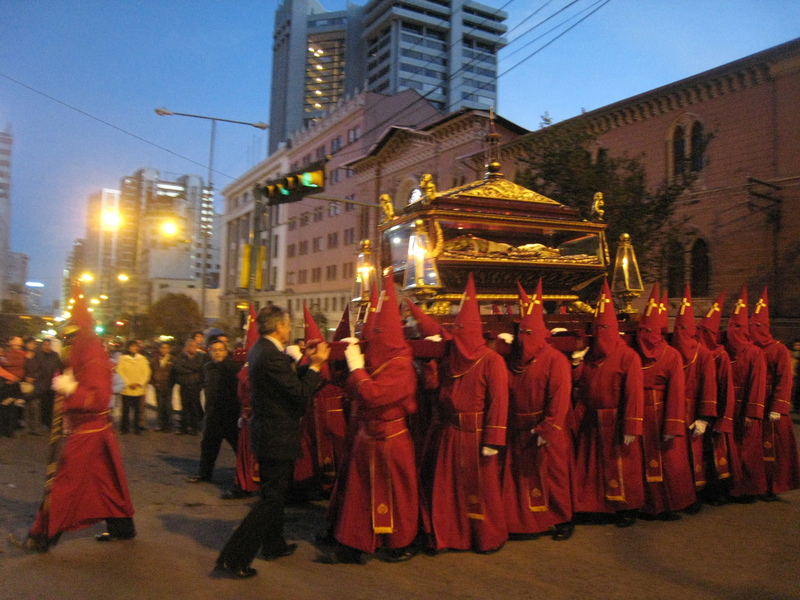 The procession depicts the fall and rise of Jesus Christ and was a sorrowful, sombre spectacle, an act of mass mourning rather than celebration. 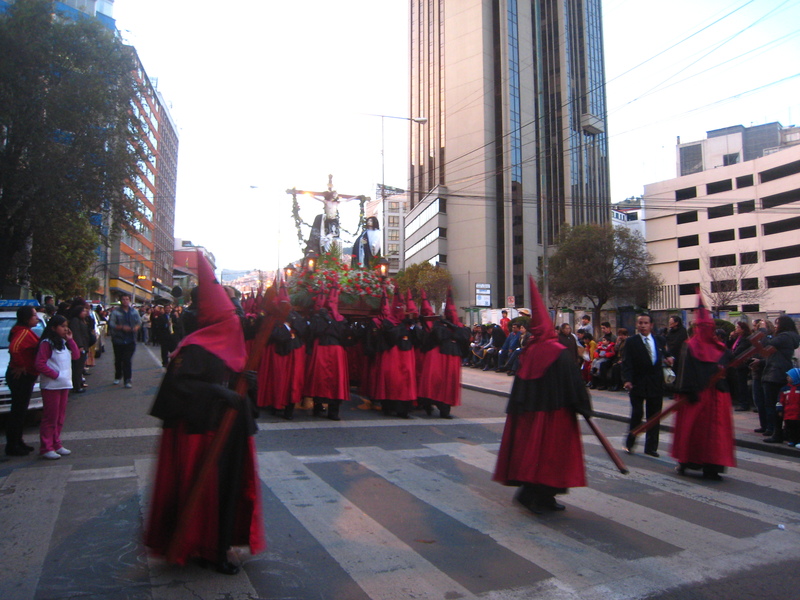 School groups marched in uniform, chanting Biblical passages led by one child with a megaphone, while crowds of locals followed behind carrying flickering candles. 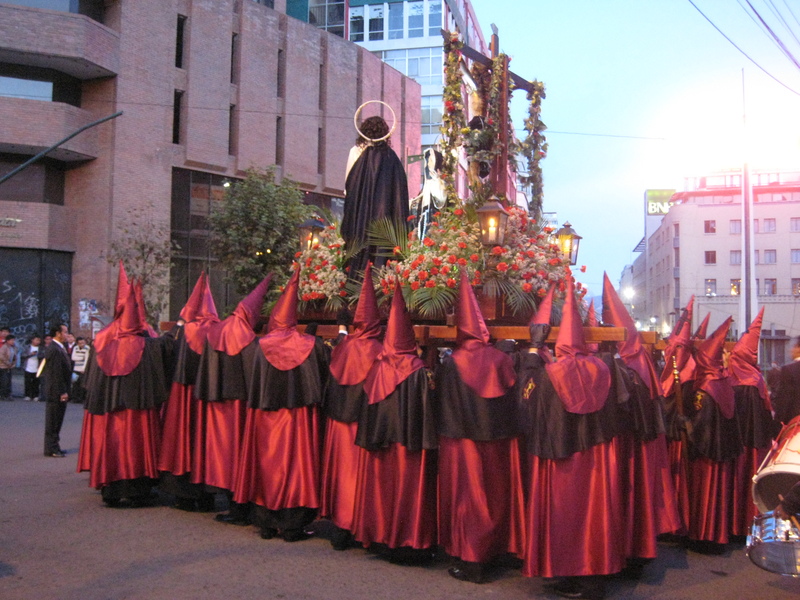 Most dramatic of all were the robed figures, with their tall, pointed hoods, eerily reminiscent of the Ku Klux Klan. 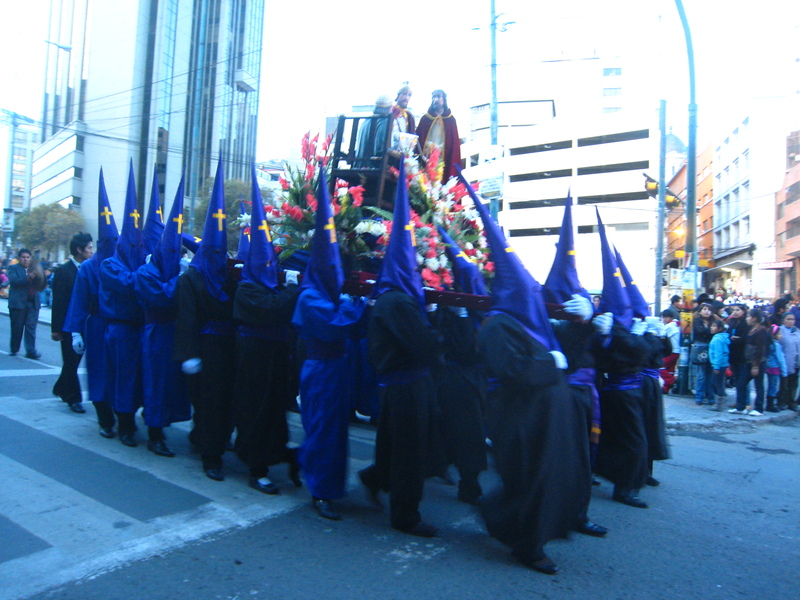 (Apparently the costumes represent mourning and are entirely unrelated to the KKK). 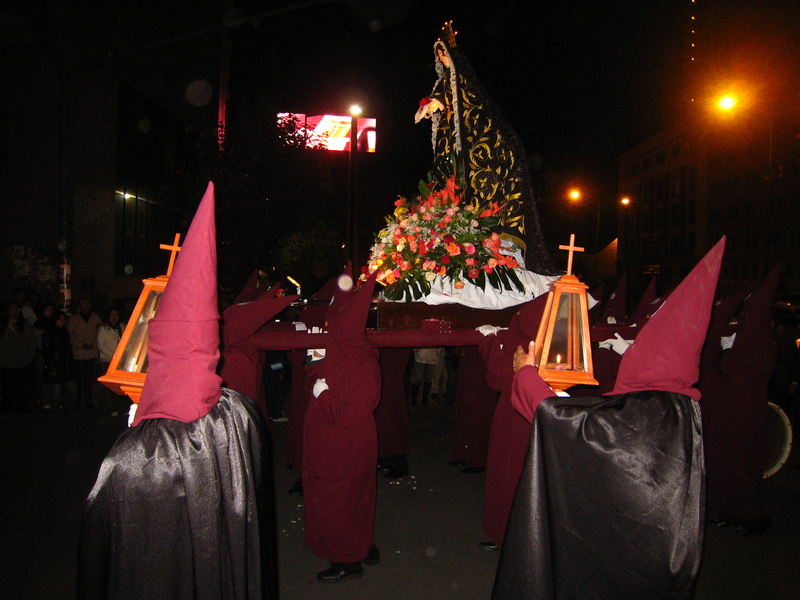 These haunting figures move slowly and silently through the streets, carrying enormous wooden platforms displaying effigies of Jesus and Mary. 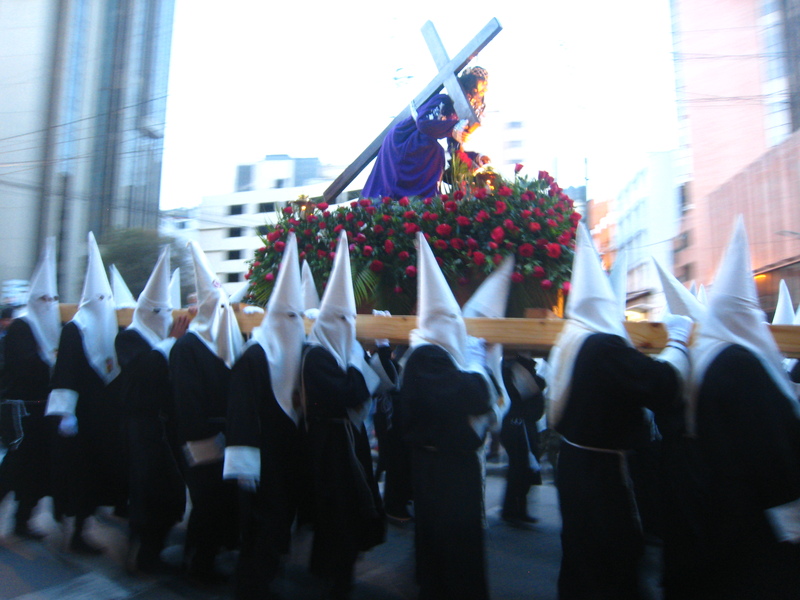 A striking, shocking sight to the uninitiated, I was prepared to be somewhat alarmed this time around, having witnessed larger and more intense Semana Santa processions (i.e. 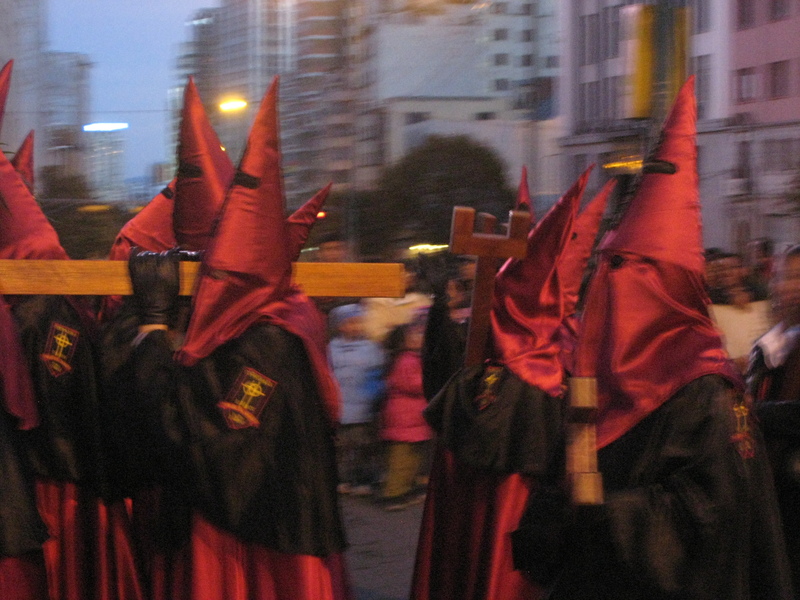 more hoods, plus clamouring, wailing crowds) in southern Spain many years ago. 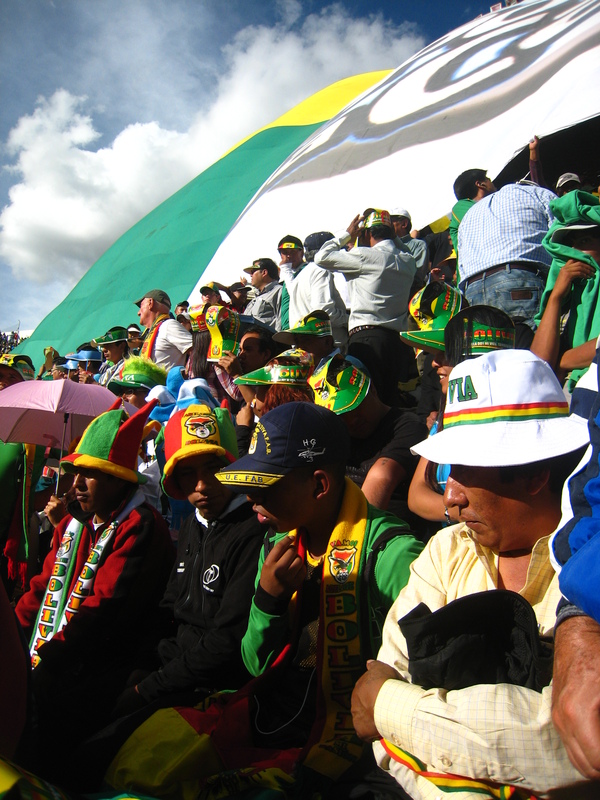 Despite hopes of attending a live football match during my trip to Argentina, I opted to wait until returning to Bolivia, where I was less likely to fall victim to outrageously inflated tourist prices. 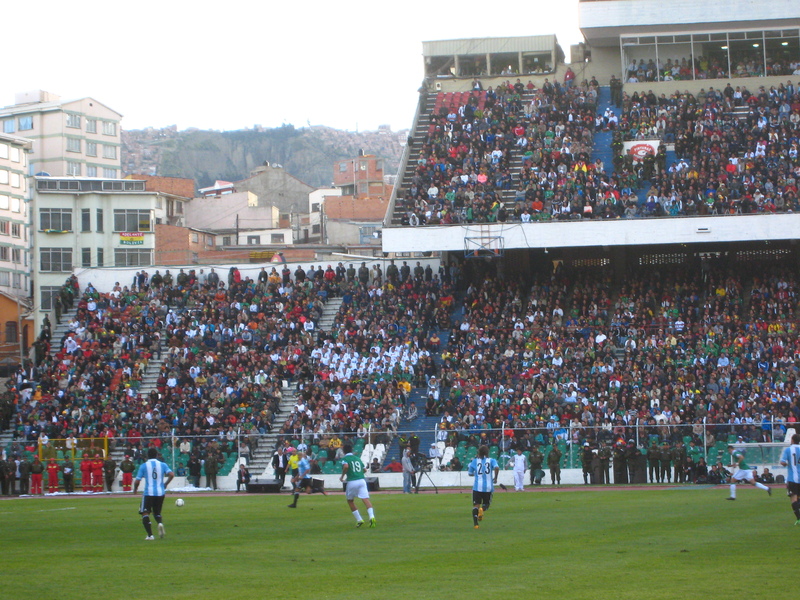 It paid off, since Messi and his team visited La Paz the very next week for a World Cup qualifier. I scored a third row seat for only $17, a fraction of the price I was offered in Buenos Aires. Of the South American teams competing for next year’s World Cup in Brazil, Bolivia was trailing at second to bottom of the table while Argentina were flying high at the top. 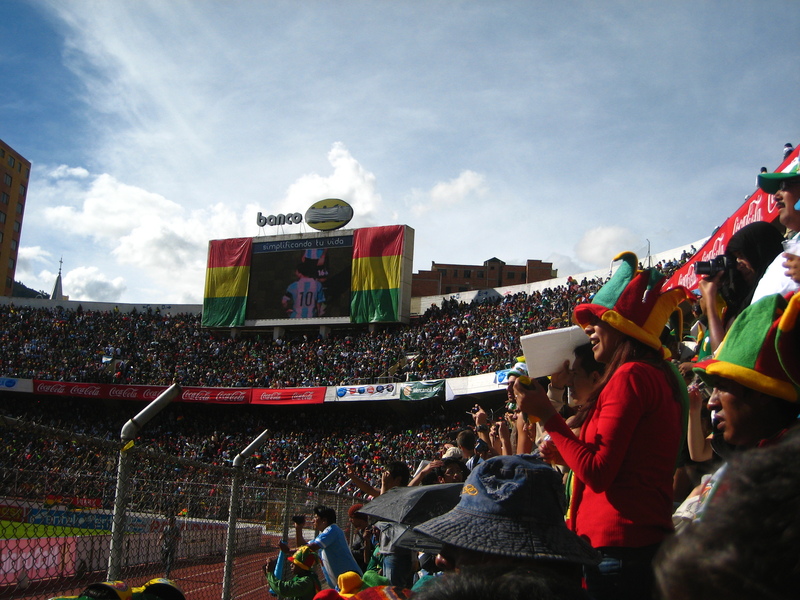 Bolivia, however, possess the intriguing ‘altitude advantage’; visiting teams have to contend with adjusting to the dizzying heights of La Paz. 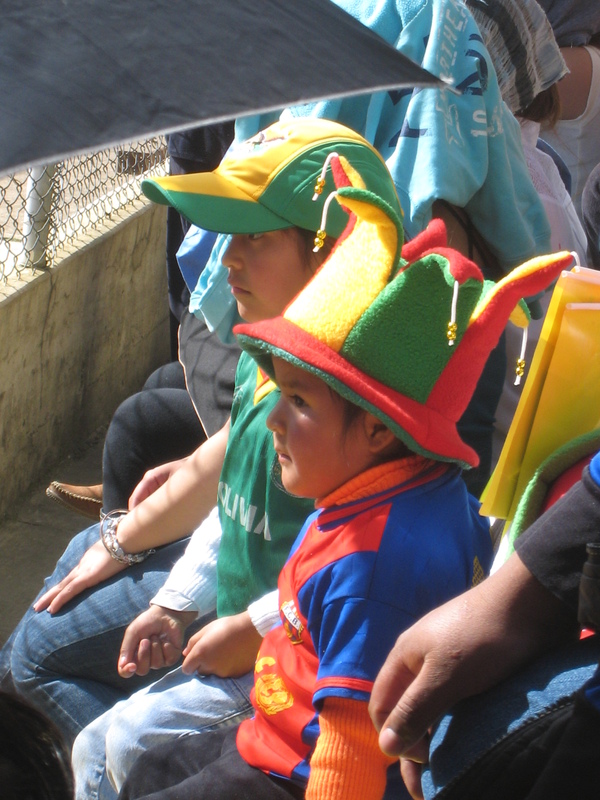 Admittedly my support of Bolivia was dubious, since I was secretly hoping to see Messi score (he didn’t). Whenever he would venture close to our section, there would be taunting cries of “Messi! 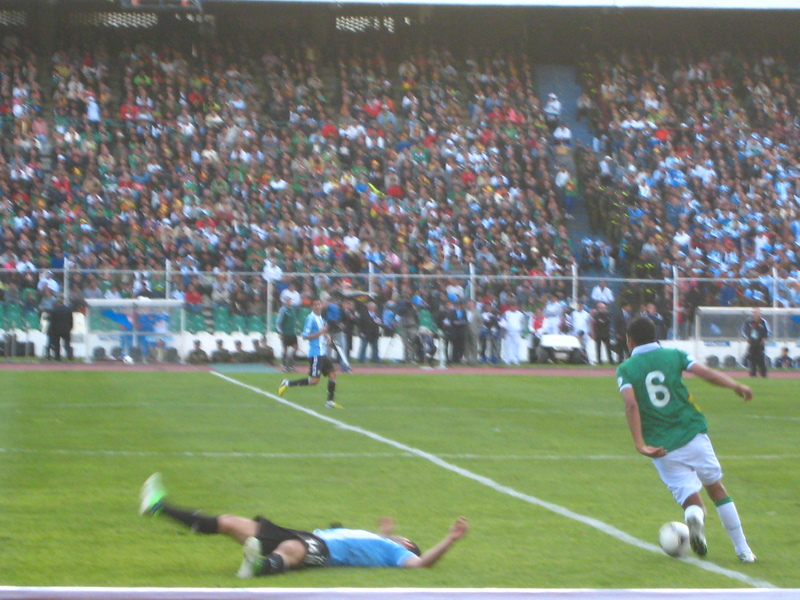 La ALTURA!” (“the altitude!”). 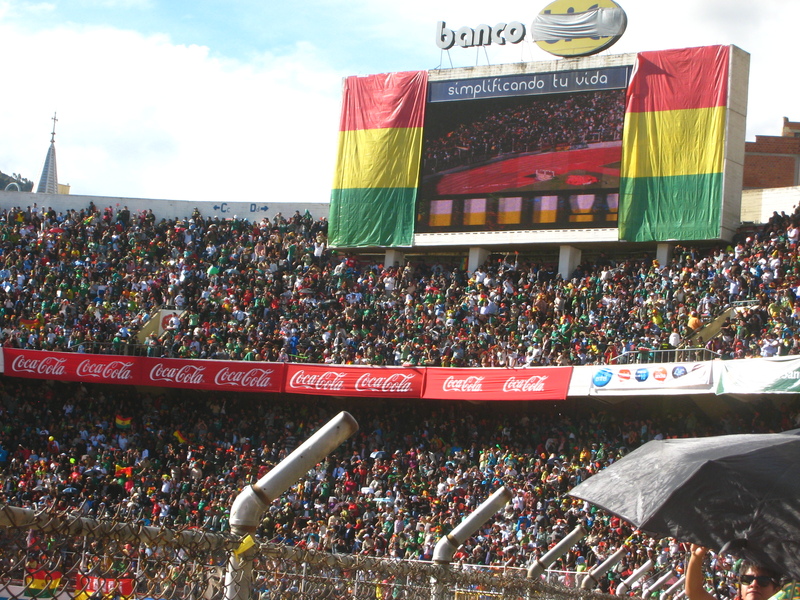 Bolivia went 1-0 up in the first half, Argentina equalised just before half-time and despite many close calls, the match ended 1-1. Polystyrene squares are sold for 1 Boliviano (15 cents/9p) as seat covers. At the end of the match, thousands of these were hurled into the air from all sides of the stadium, falling like ungainly snowflakes onto the pitch. 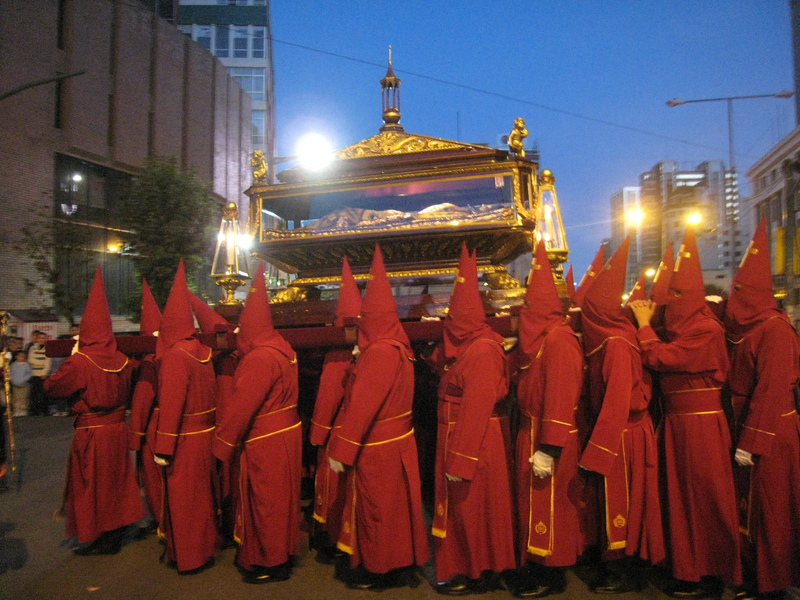 This entry was posted in culture, festivities, traditions and tagged Bolivia, football, La Paz, Messi, procession, Semana Santa by Joni. Bookmark the permalink. Lovely stuff Joni. Fine images coupled with a great account. Memorable. Mmm, you’ve just reminded me of the white pointed hats close family mourners used to wear at Chinese funerals. Over the years, it has got abandoned as more modern dress are adopted. Have to check out who Messi is…. Didn’t know that about Chinese funerals. Ready for a Messi crash-course? – He’s considered the world’s greatest football player. – He plays for Barcelona, when he’s not playing for Argentina. – He’s only 25 and shares the same birthday as me. Too young for you then, Joni! Thanks for the crash course. Retirement is wonderful. Looking at those first few pics, I thought maybe you’d gone to a class reunion at Hogwarts.